The CBDistillery is one of our sponsors and has provided us with a great deal. Our fans can get this great offer by using our The CBDistillery Coupon. When you use one of our promo codes you are directly supporting our podcast and site. Thanks for your support. The CBD Distillery has qualifications that all their plants must meet and are consistently tested to ensure that they meet high standards. All of their products are made from NON-GMO, Pesticide free, industrial hemp. They grow their hemp outdoors under natural sunlight with organic practices. The CBD Distillery sells a wide variety of CBD products. From Full CBD Tinctures, CBD Isolate Powder from Hemp, CBD Isolate Slab from Hemp, CBD Capsules, CBD Topical Salve, CBD Suppositories, and CBD Skin Care Cream. My personal favorite is the CBD Isolate. I make CBD Oil from the CBD Isolate that I vaporize. It helps me with chronic pain and helps balance out my mood. CBD effects everyone differently, so knowing which product will have the greatest benefits will really just depend on the person who is using it. All of The CBDistillery products are 99% Pure CBD. CBD (Cannabidiol) is a naturally occurring compound found in the hemp plant (Cannabis Sativa). It does not cause “high” effect and can offer relief and benefits. All their products are 3rd party lab tested and you can see the results on each product page. The CBDistillery was founded by a group of Colorado natives with a strong belief that poeple have a right to the highest quality, fairly priced hemp derived CBD. 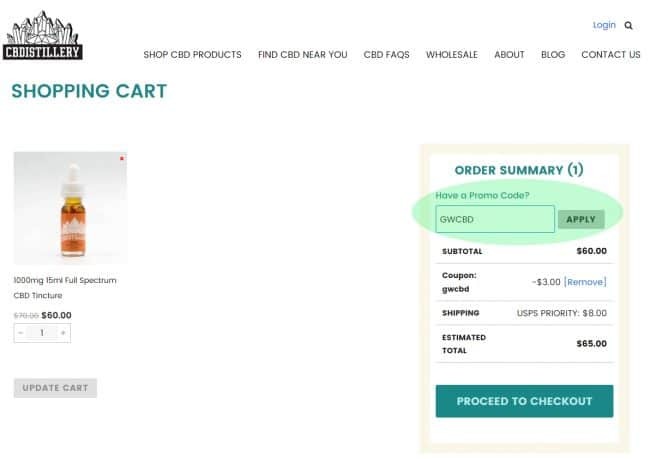 Where do I enter The CBDistillery Discount Code? 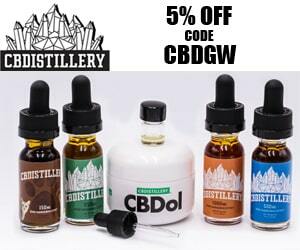 When you go to the checkout, enter The CBDistillery Coupon CBDGW on the right hand side in the promo code box.